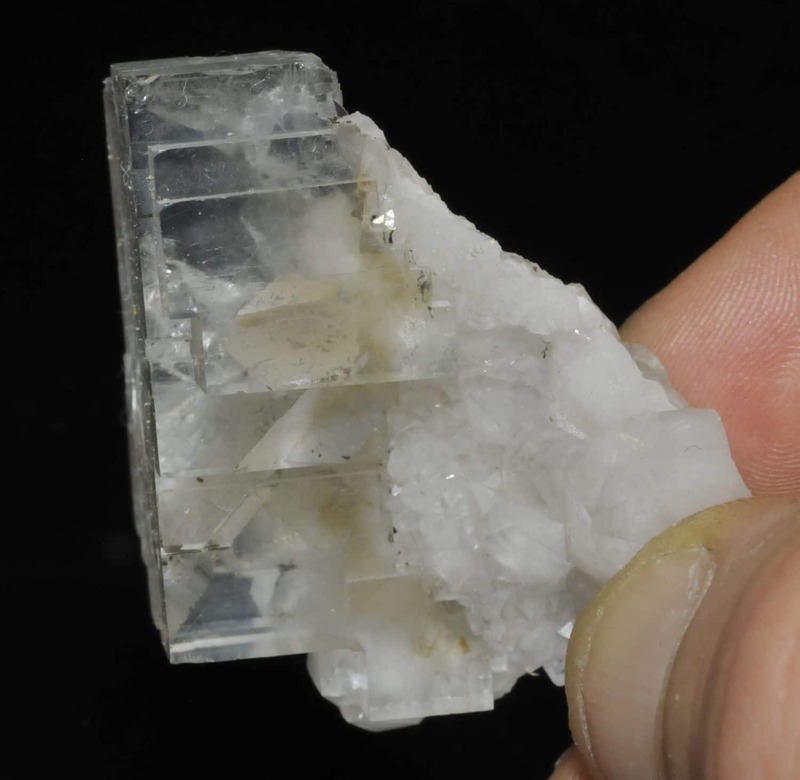 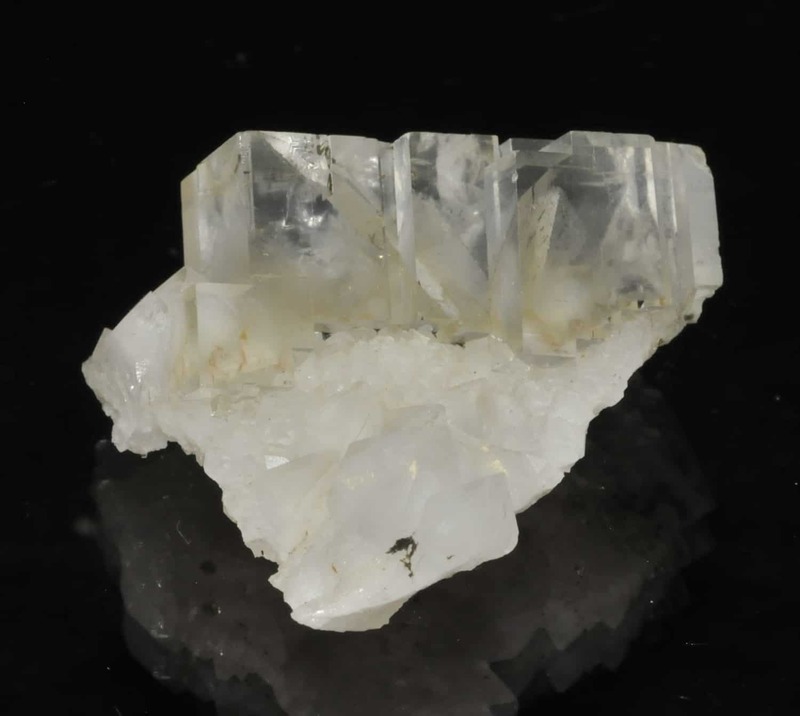 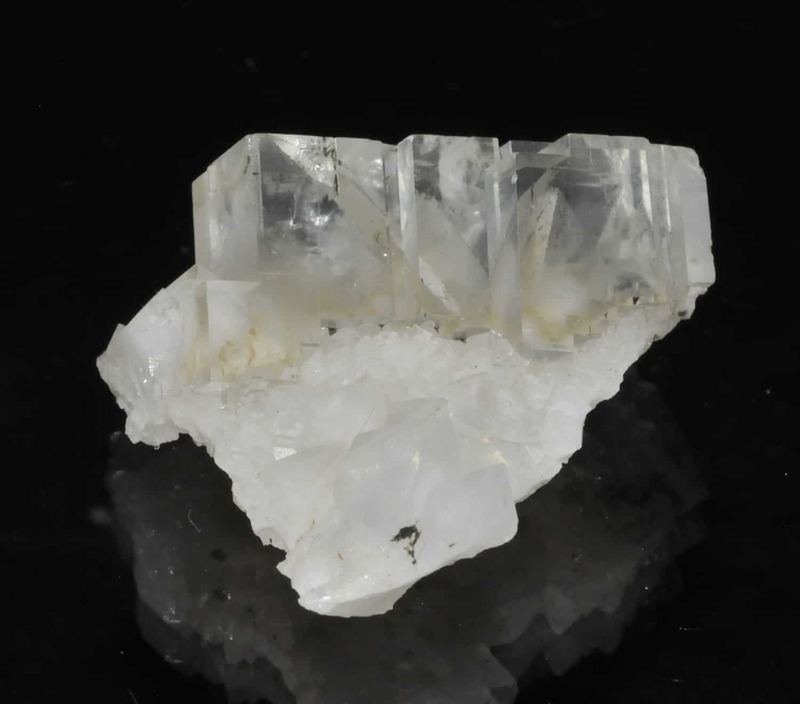 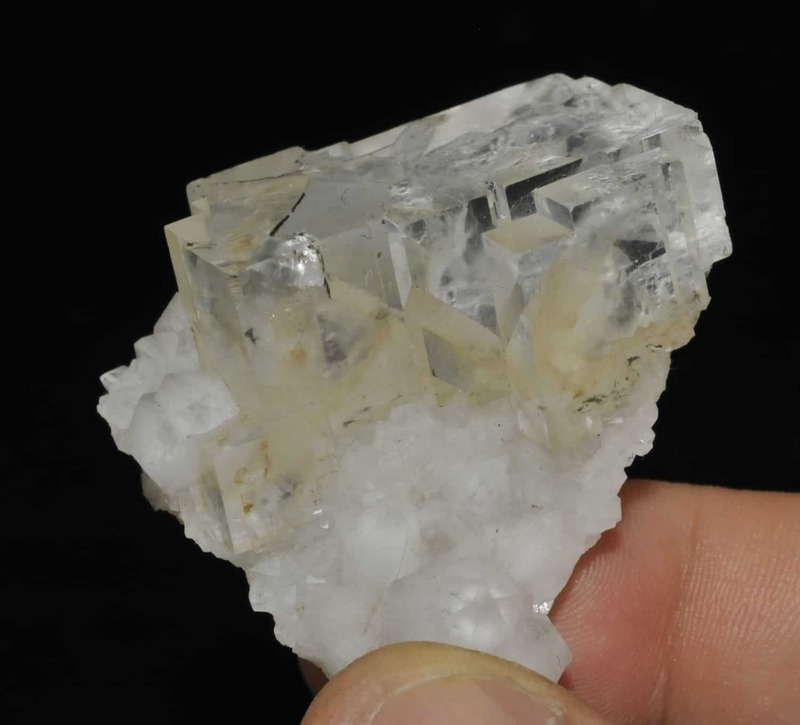 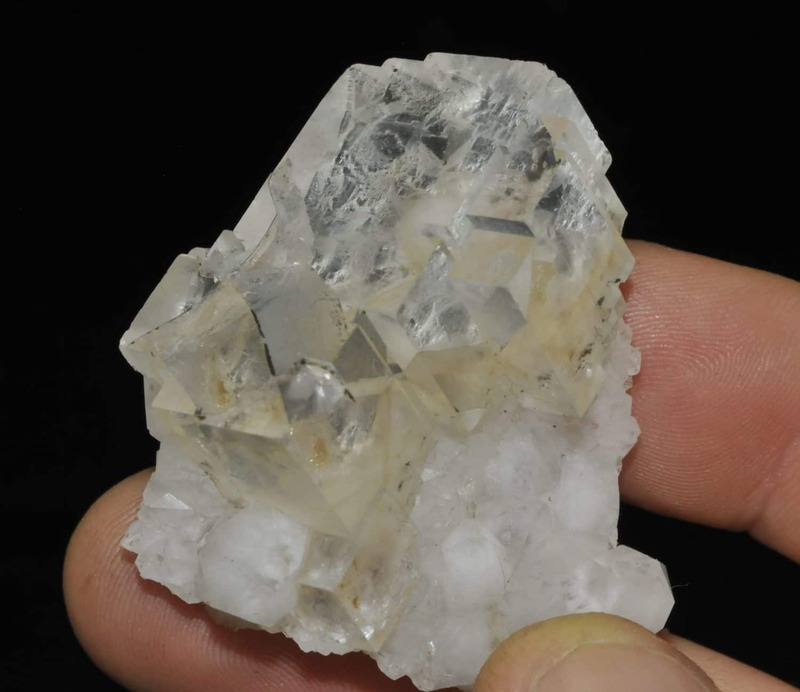 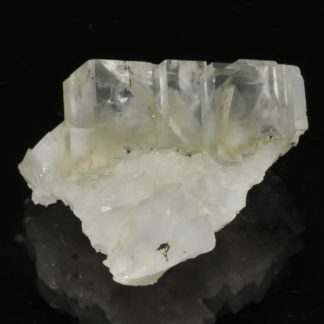 White fluorite crystals on white quartz crystals from the Montroc mine in Tarn. 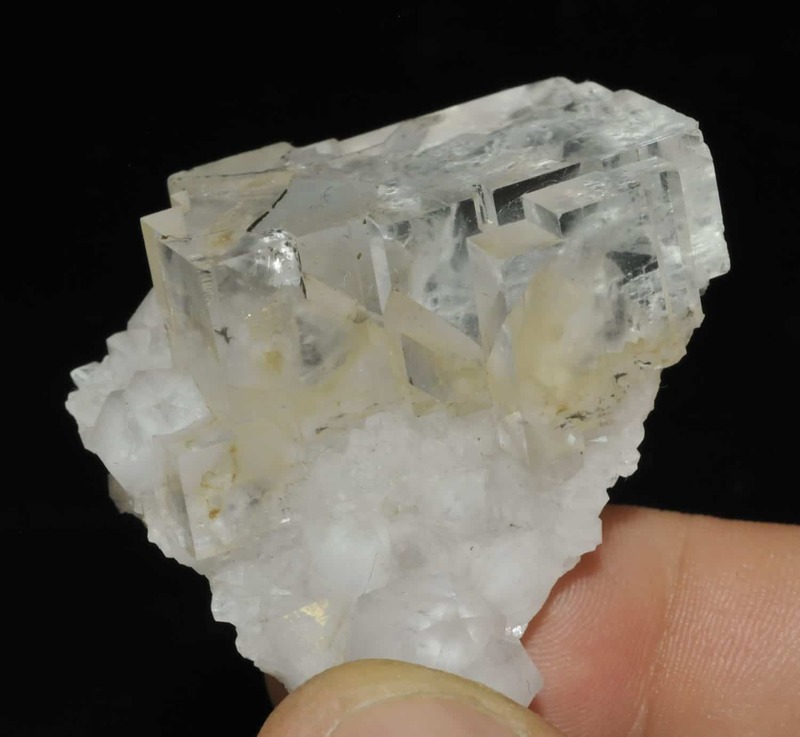 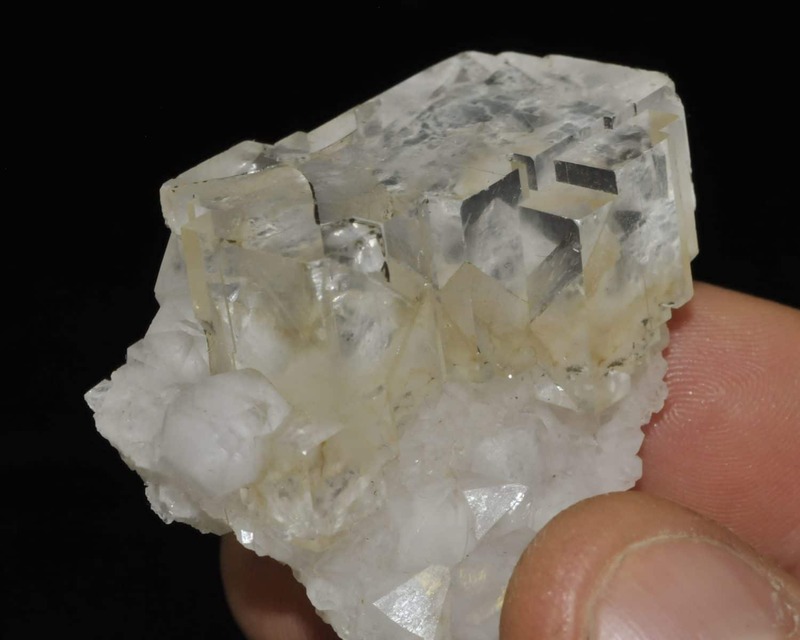 The largest crystal is 3,4 cm. 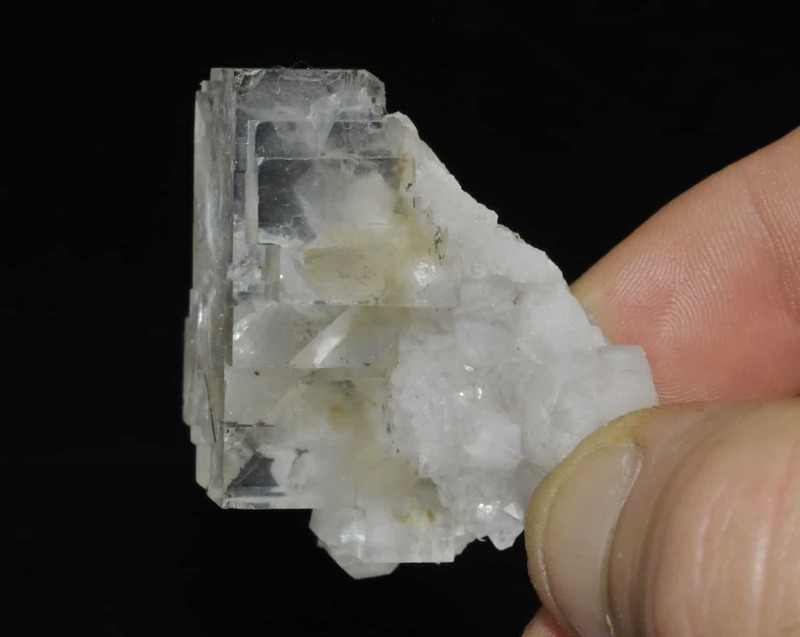 Small beautiful piece from the collection of Eric Asselborn.